MageCloud partnered with WebAndPeople to offer Responsive Custom Menu in your MageCloud panel for our simple 1-click installation option. To install this extension - create your account with MageCloud and launch a new Magento store. It takes only 3 minutes. 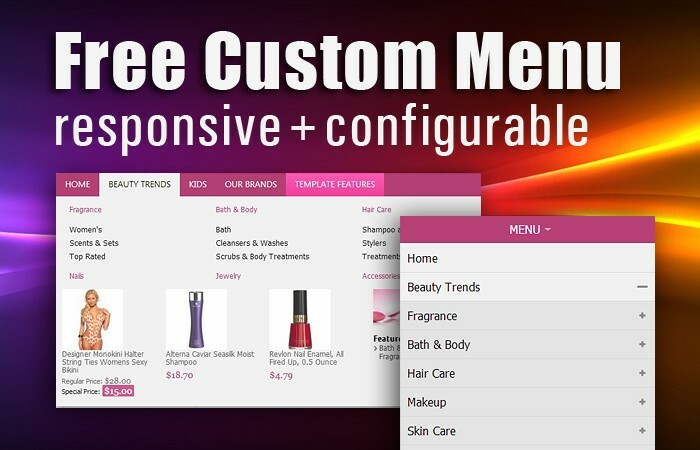 WebAndPeople always provides support for customers who have installed Responsive Custom Menu Magento module. Feel free to leave a review for the company and the extension so we can offer you better products and services in the future. You may want to check other WebAndPeople Magento extensions available at MageCloud and even get extensions from hundreds of other Magento developers using our marketplace. Responsive layout. Menu goes to one column drop down when screen resolution goes below 800px. Switching between full mode and single column mode is based on js. For small screens a submenu area appears when you click a menu item. Apply a static block at the bottom of each drop down. Display all subcategories at once. Customize number of columns in the drop down. You can set the width of the each static block. Display empty categories: Yes/No. 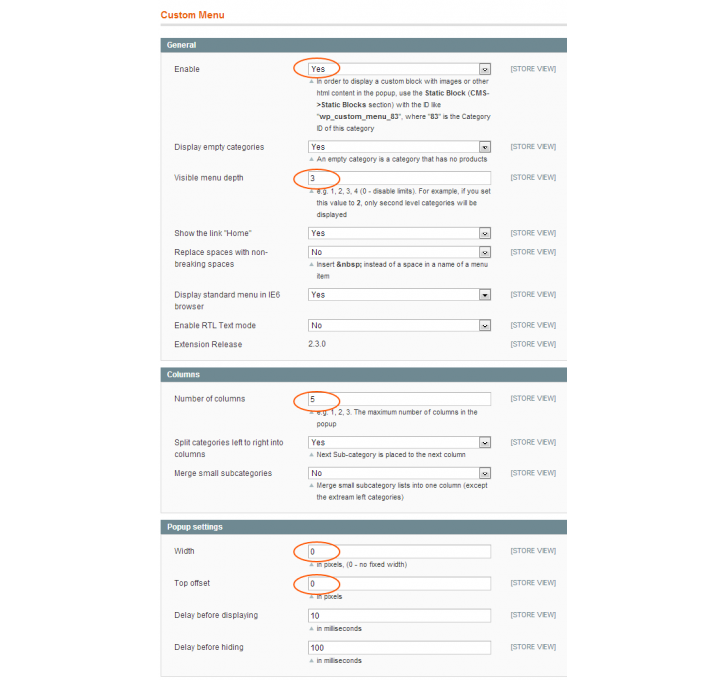 Feature "Split categories left to right into columns" it allows to change the direction of columns filling with subcategories in the categories popup. Top offset is now defined automatically if it is set to zero.